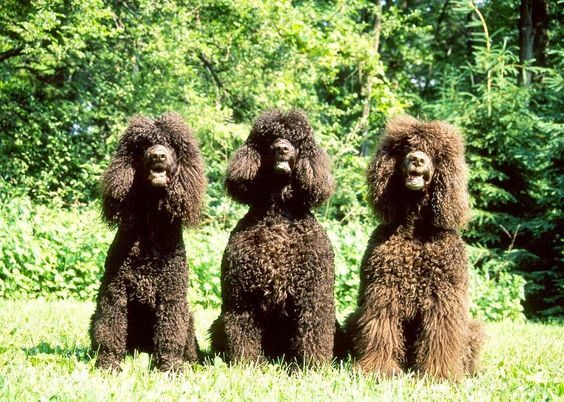 The Irish Water Spaniel can be easily adapted to suit most forms of shooting he will hunt, often point and retrieve readily from heavy cover. The construction and nature of the breed has traditionally made it the choice of the wildfowler. Truffle dog. 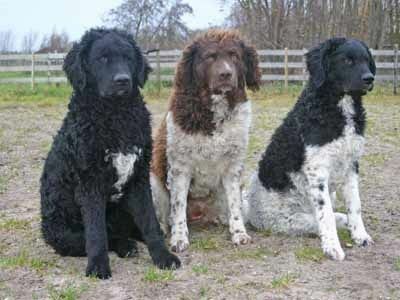 Ancient breed of retrieving water dogs in the lowlands of Comacchio and the marshlands of Ravenna. During the centuries, the great marshlands were drained and turned into arable land. 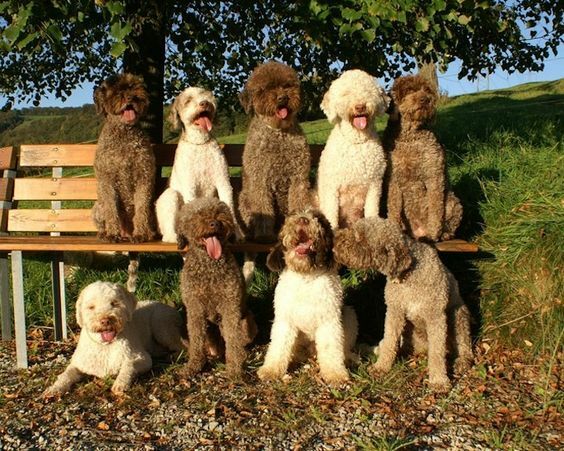 Subsequently the Lagotto changed from being a water dog to an excellent dog for searching truffles in the flat open country and in the hills of Romagna. 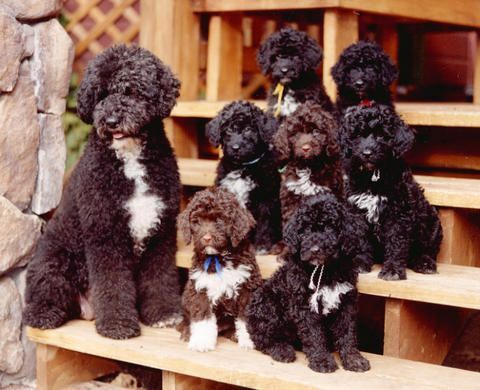 Assistance with fishing and retrieving as well as companion dog. A dog of medium proportions, bracoïd tending to rectilinear to slight convex. Harmonious in shape, balanced, strong and well muscled. Considerable development of the muscles due to constant swimming. 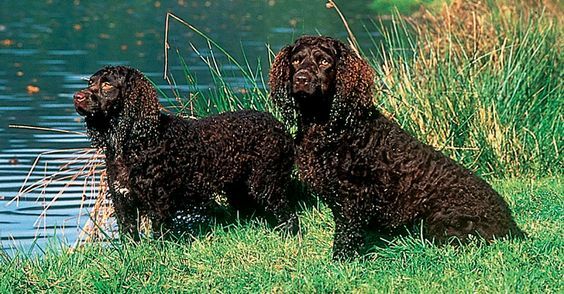 Used as shepherd dog, hunting dog and assistant to the fisherman. 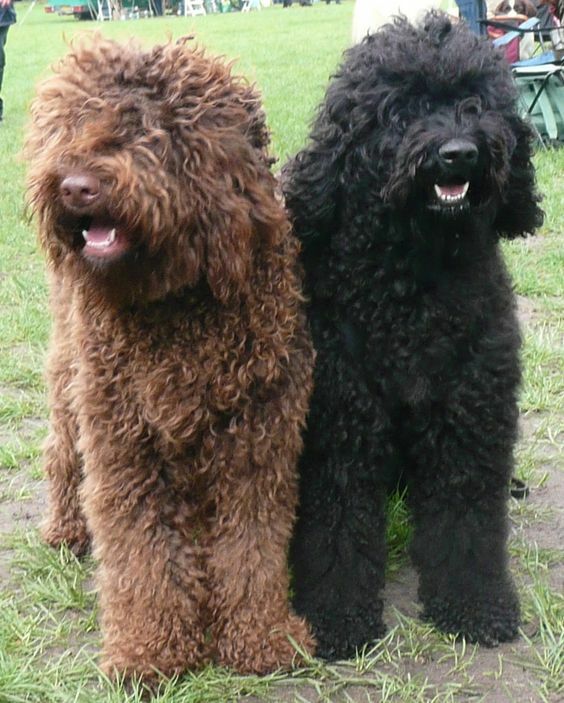 Rustic dog, well proportioned (medium weight), dolichocephalic, of rather elongated harmonious shape and attractive appearance, of an athletic nature with well developed muscles owing to his regular exercise; the profile is rectilinear; his sight, hearing and scent are well developed. Dog for otter hunting. 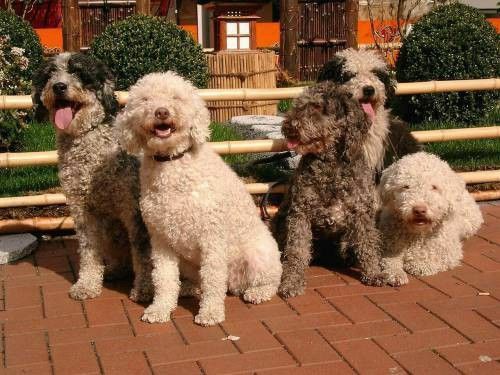 Quiet dog with stubborn character, reserved about strangers, an ideal guard-dog.